1982 batch Jharkhand cadre IAS Rajiv Gauba and chief secretary of Jharkhand has been appointed as new urban development secretary in place of Madhusudan Prasad on his retirement on March 31, 2016. Hailing from Bihar, he did his graduation before getting into IAS. In 1990s, he served as district magistrates in Nalanda, Muzaffarpur and Gaya. Later, he was private secretary of Union environment minister and then became the ministry’s director. Between 2001 and 2005, he was based in Washington DC serving as adviser to the executive director of IMF. He also served as joint secretary in the ministry of environment and forests (2009-2012) and additional secretary first in the ministry of communications and information and technology (2012-14) and then in the ministry of home affairs (2014-15). One big challenge for Gauba is to make the Centre’s Smart City programme a success. 1982 batch Karnataka cadre IAS G Gurucharan, currently special secretary in the department of consumer affairs, has been appointed as secretary, Performance Management under the cabinet secretariat. A BCom in cost accountancy and MA in economics, he served as managing director of Haiti Gold Mines and then Karnataka State Financial Corporation. 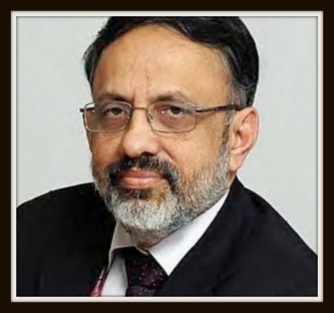 At the Centre, he was joint secretary in Overseas Indian Affairs (2005 and 2010) and additional secretary and then special secretary in the department of consumer affairs. 1982 batch West Bengal cadre IAS Hem Kumar Pande, currently special secretary in the ministry of environment, forests and climate change, has been appointed as secretary in the department of official language under the ministry of home affairs (MHA). Hailing from Uttar Pradesh, he did his MSc in Botany before getting into IAS. Later, he did his MBA from Australia. He served as joint secretary in the ministry of mines, and joint secretary, additional secretary and special secretary in the ministry of environment, forests and climate change. 1982 batch MP cadre IAS Jitendra Shankar Mathur, currently special secretary in the ministry of information and broadcasting, has been appointed as secretary in the ministry of Panchayati Raj. Hailing from Uttar Pradesh, he is an MA in history. In Madhya Pradesh, he served as collector in districts such as Tikamgarh, Surguja, Jhabua and Rewa. He was joint secretary in the department of drinking water under the ministry of rural development (2009-2012) and then additional secretary and special secretary in the ministry of information and broadcasting.